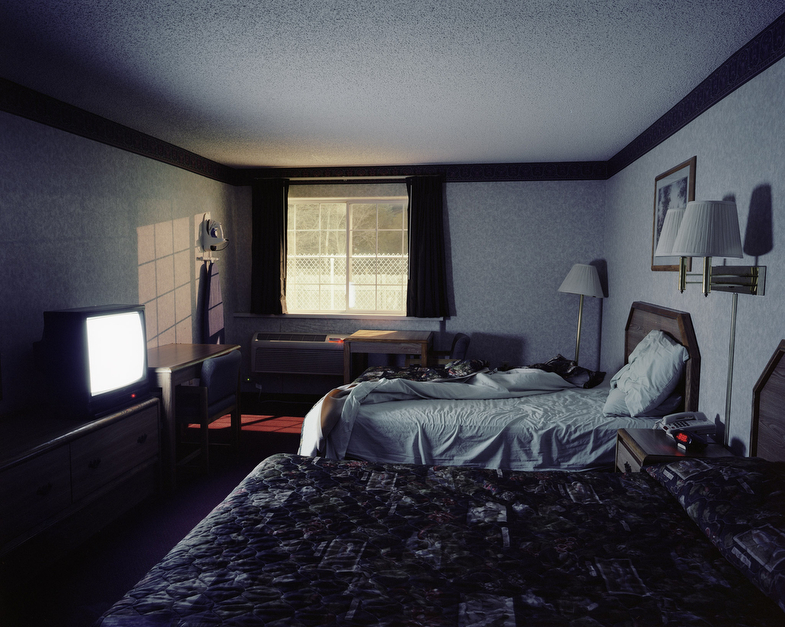 Clean Rooms, Low Rates is a collaborative, cross-genre exploration of the American motel. 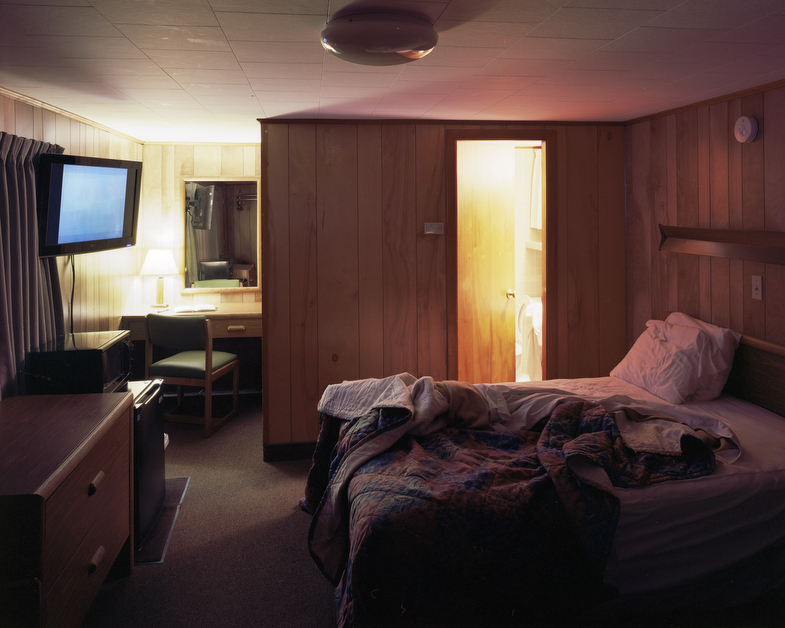 In 2011 and 2012 I hitchhiked, drove and walked 22,000 miles back and forth across the USA, photographing, among other things, empty motel rooms. Each of the images in the series was taken after a day of driving, sometimes 10 to 12 hours worth. They always felt like some strange continuation of the journey, rather than a rest stop. There was this sense of perpetual motion in the space. I would lie there in the dark and could feel the road still stretching out before me. It was a bit like when you get off a boat and the land seems to sway for a while, I could always feel this sense of moving forward and beyond, so the images never really felt like interiors. They were landscapes — a continuation of the open road. 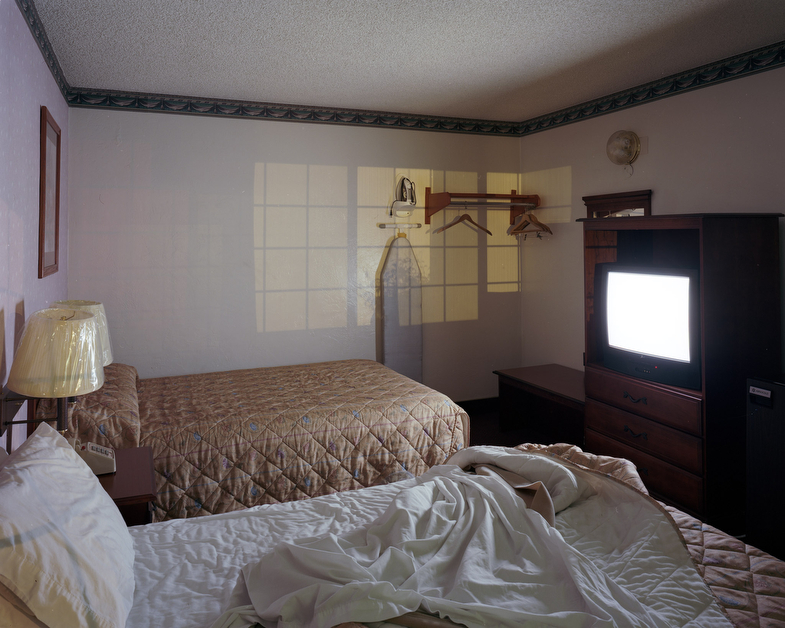 Standing at the intersection of economics, aesthetics, poetry, documentation, and fiction, Clean Rooms, Low Rates explores an alienated and anti-domestic landscape, full of oddities and banalities, shedding light on the problematic character of seemingly ordinary things. 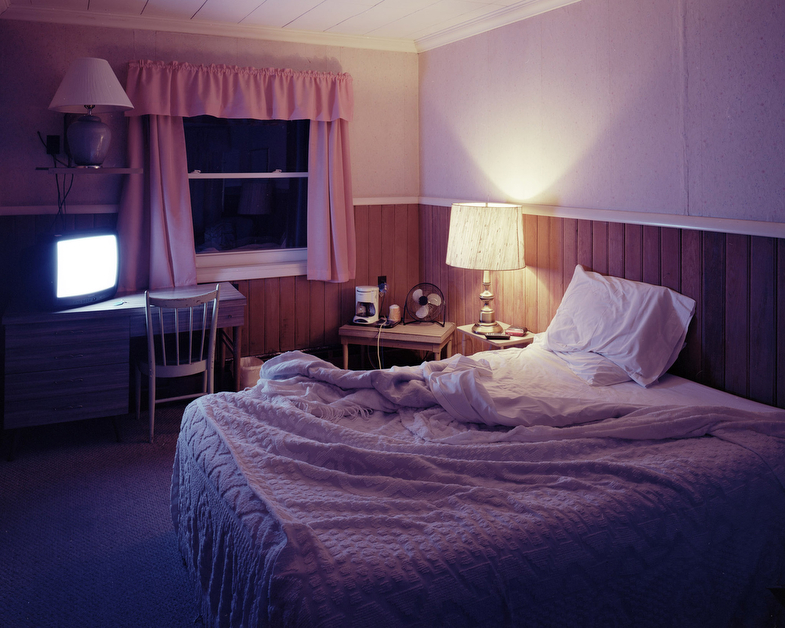 By playfully and collaboratively immersing ourselves in a private-turned-public space, especially one as aesthetically charged and culturally specific as a motel room, we allow ourselves to experience and examine the myth of the American dream. 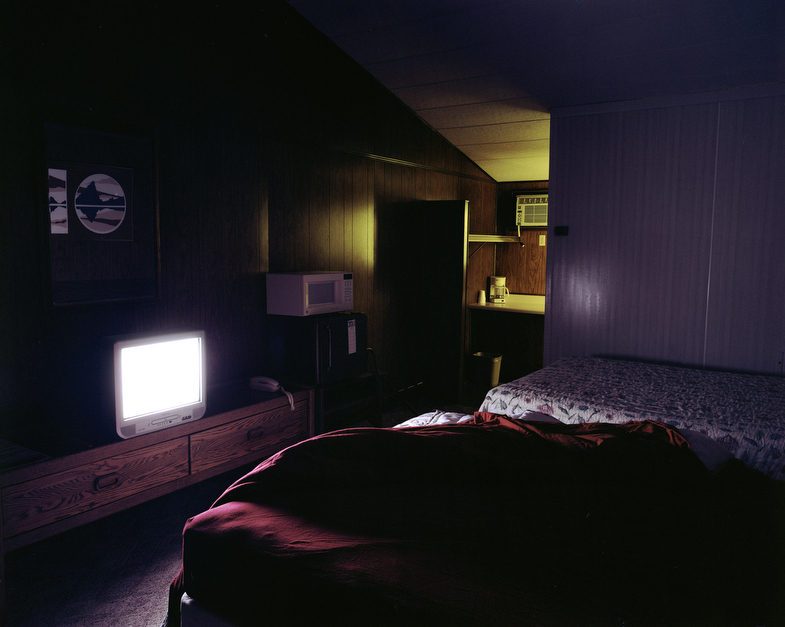 Inspired by the history of motels in some of the greatest stories of all time, writer Jeff Parker provided fictional texts to go with a selection of these photographs.